Tis the Monday before Christmas, and a certain someone hasn’t started her Christmas shopping. But no worries, I work well under pressure. Nevertheless here is an outfit idea to help see you through the day- Wear your favorite Trench as a Shirt for daytime and as a dress for night time. 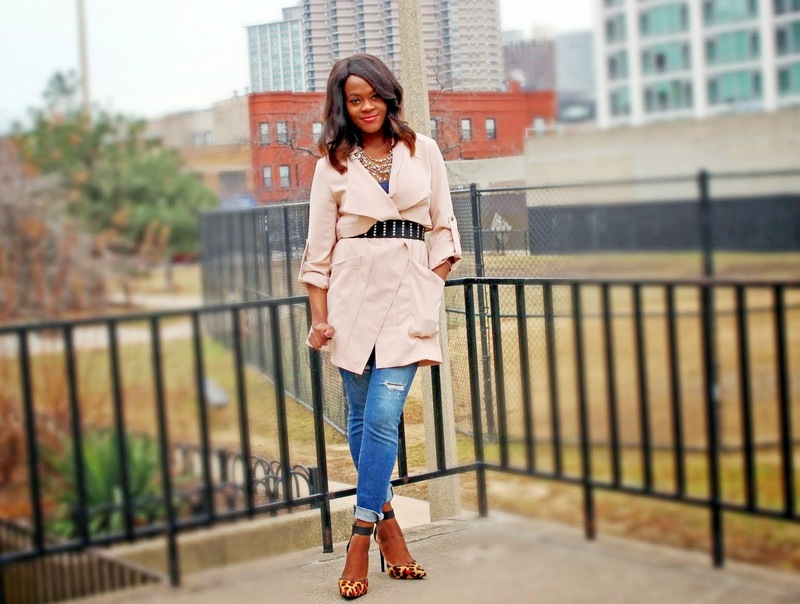 I am wearing a blush toned Jacket from Shop Roxx which will certainly be invaluable during the Spring months as well. The color adds a touch of femininity and chicness to any outfit. 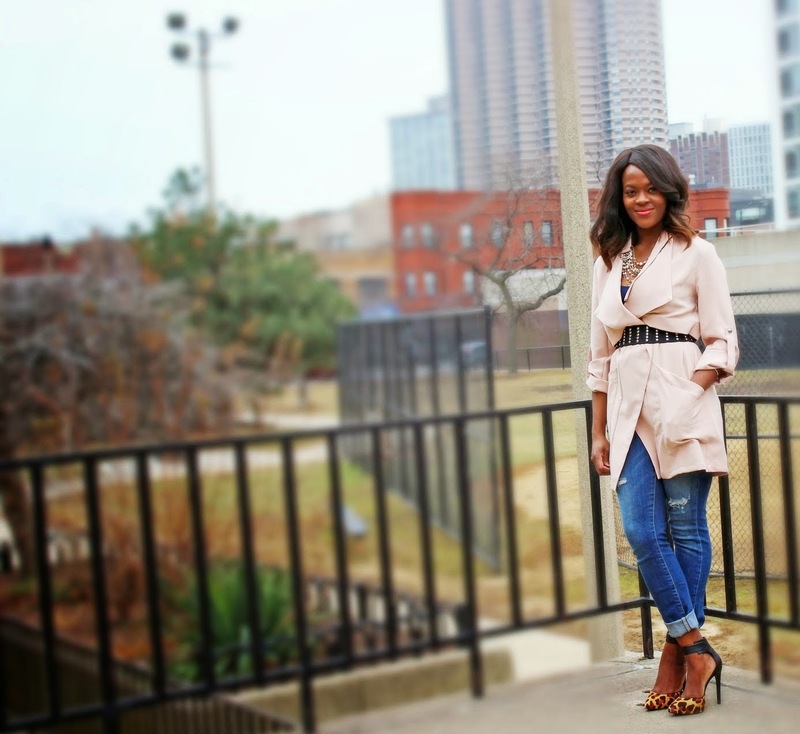 For Daytime, which calls for a more casual look, I paired the trench with a pair of boyfriend jeans to ward of the cold. 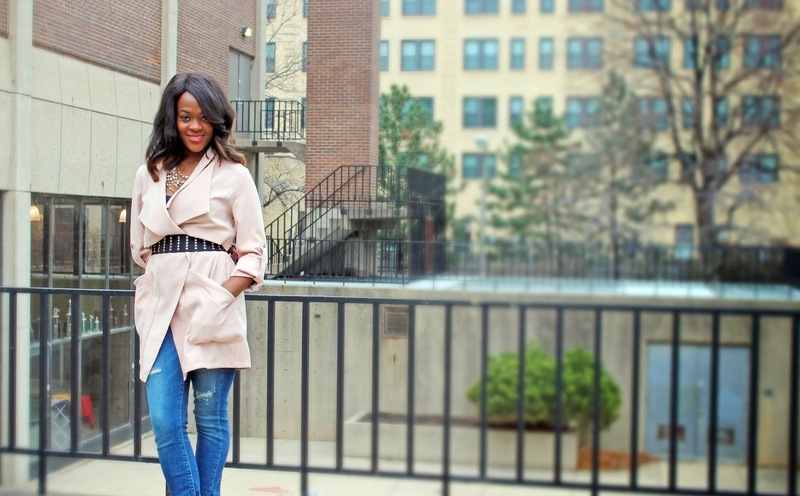 A statement belt cinched at the waist pulls the outfit together beautifully. Night-time calls for some drama so I ditched the jeans and opted for my fave over-the-knee boots and a cute purse. Trench|| Courtesy of Shop Roxx .